These protect buyer and seller. Happy horses and their new owners is our goal, so some rules had to be applied. All purchases require a minimum of 20% or $500 minimum down. Cash deals are 50% down, 30 days for full payment and transport. If more than 30 days, prepaid monthly board will be charged per horse . I've had to change my policies after having too many people default and leaving me with bills. Must have references and a late payment incurs late fees. Any payment over 30 days late is a default on the contract. Any sales non horse sales $500 or under, are cash up up front. This includes everything. Tack, books, cart, etc. I accept PayPal up to $1,000 for down payment only. All purchases require buyer to sign a purchase agreement contract which you will have full knowledge of before money is sent. No surprises or hidden fees. If you have not picked a horse up by the agreed upon time, unpaid boarding and related fees must be paid before horse(s) will be allowed to be picked up unless all balances are paid in full. All horses come with a new halter and lead, one weeks worth of feed and hay to transition them safely during transport and at their new home. All horses must be paid in full before transport or pick up. If you send a money order or a bank transfer and it has not cleared the bank, the horse cannot be allowed to leave. Please leave plenty of time for processing. 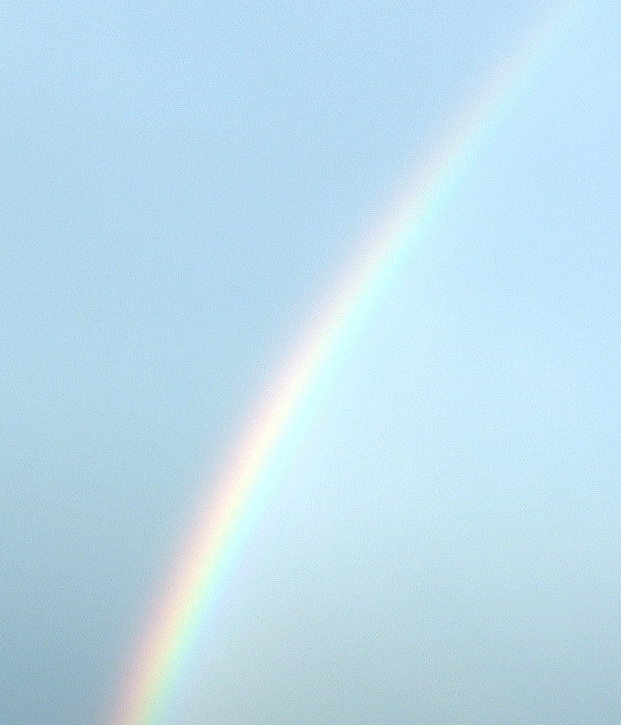 Many MO's take up to two weeks to clear, especially from smaller banks/credit unions. 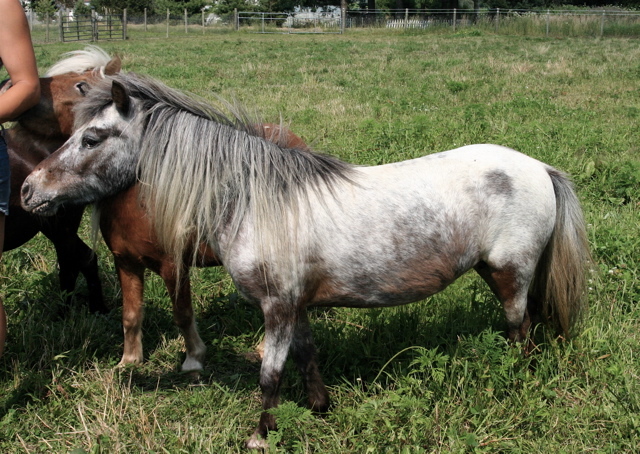 When contacting about available horses, you must include your full name, phone and location. We can offer reasonably priced delivered in parts of SC, NC, western VA and western WV. No payments and strict contracts with no exceptions. We are sad to say the registries did not support or protect us when needed, so we will have to be very rigid with the remaining sales requirements. We will require references/photos of facilities horses will be kept in. We thank you in advance for your cooperation and understanding. 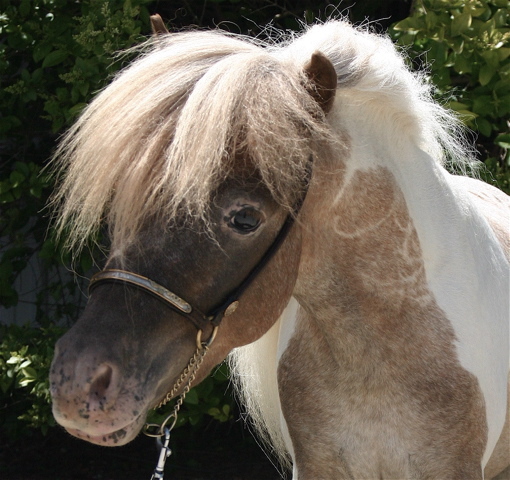 We intend to continu our pursuit of preserving the miniature appaloosa bloodlines and quality. 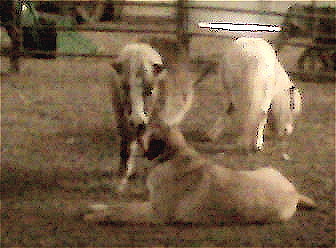 These horses are our family, not livestock., so their well being comes first. 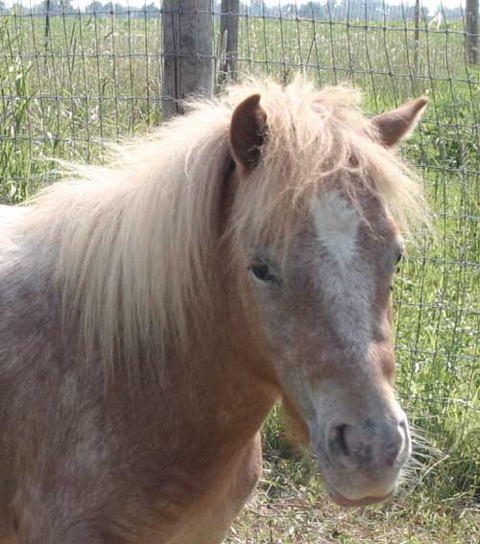 We sell quality horses with outstanding temperaments. That comes from serious investment of time and money. We do not sell pets to children or auction priced horses. "Lil Deb" 33.5" AMHA/AMHR. 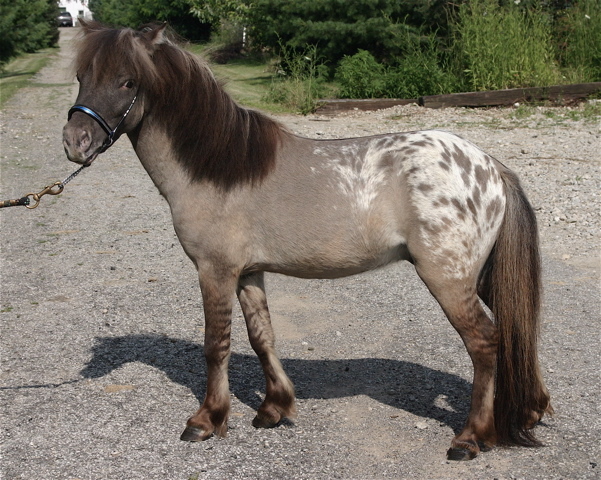 A loud and uniquely marked bay/black roan appy mare. She turns tri-color in the winter! She might be called a snowcap by some. Super easy foaler. Is the "aunt" to all the weanlings when they leave Mom and quiet nature . 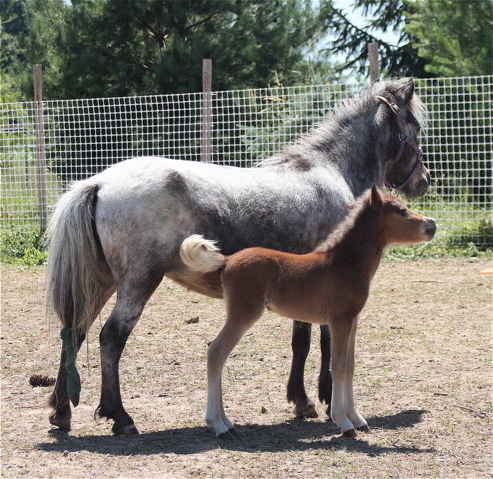 She produces taller very leggy foals. She is learning ground driving. "Misty Moon" AMHR pending She is a beautiful strawberry snowcap with a few spots. She has a thick split mane. Full blended color forelock and tail. Very unique. 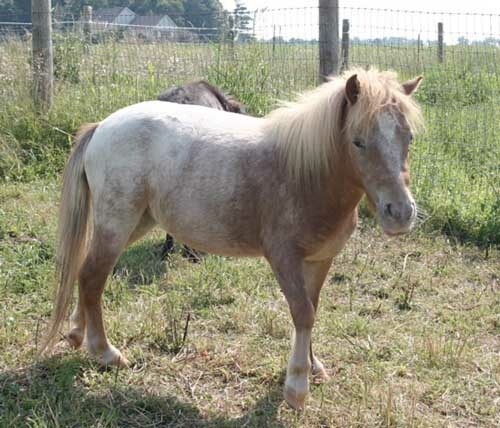 A sweet mare, overall laid back and awesome appy bloodlines. My stallion Dot, is her sire. Her dam Shawnee has sold. Her sire did very well in showing and her half sister is doing outstanding at another farm. 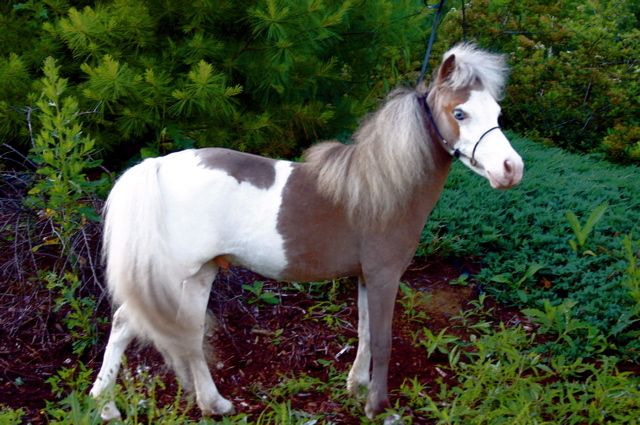 She is a Falabella blend. She is right at 33.5-34". The photos don't do her justice. 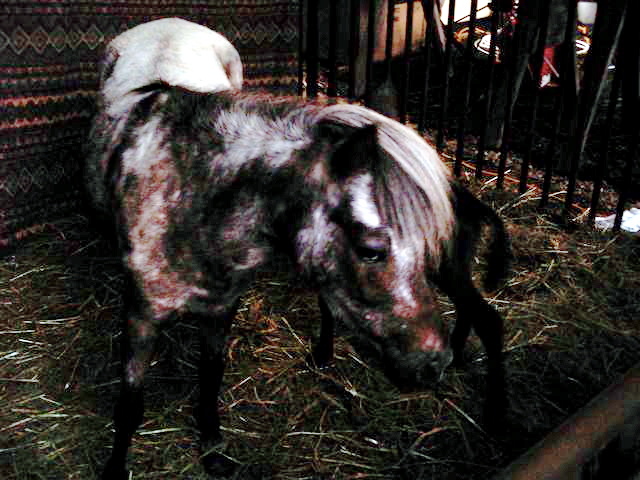 "Andretti" 31.5-32" appaloosa gelding, One blue eye. A sweet & adorable little man. A & R eligible. Sells on papers if not registered before sold. He does have an underbite, but does not affect his eating or appearance. Unique color? Sabino? Dapple? You decide. He has started ground driving and would make a wonderful pet, companion and great conformation. Photos do not do him any justice at all. Very handsome boy. Beautiful face and head. He will be evaluated for visiting therapy use in 2013. "Aladdin 27" AMHA pending. 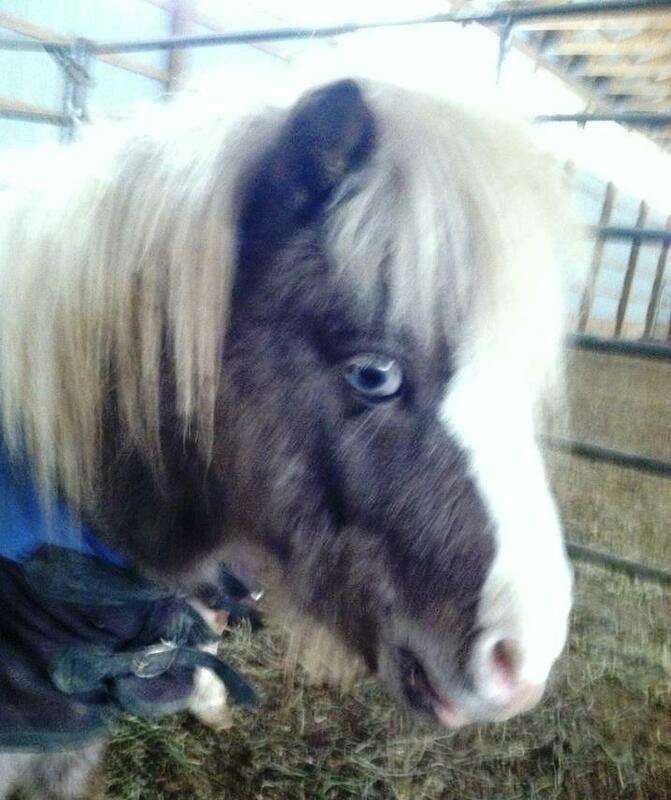 He's is my smallest stallion born and raised here. He is a snowcap few spot pintaloosa and appy mottling in all the rights places. A real little lover, easy to handle, but lots of playful energy. His sire is National Champion and dam's pedigree is outstanding. 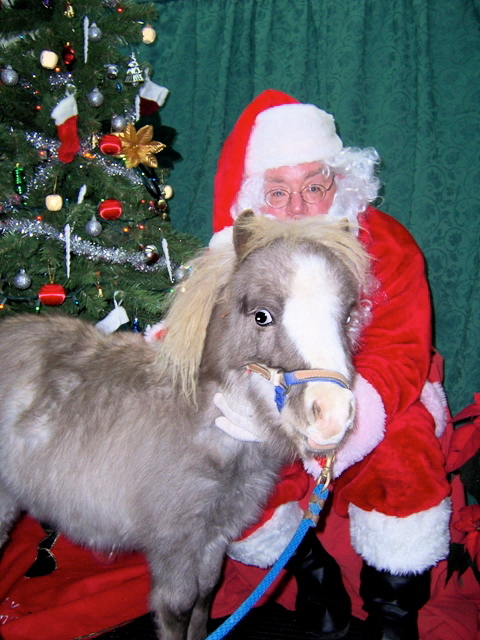 He is being trained to become a certified visiting therapy horse. He toes out slightly due to leg bent back during birth. No lameness or issues. 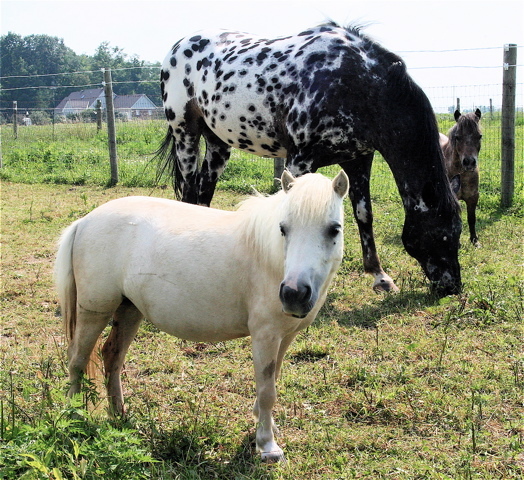 Aladdin will be gelded in 2013, since he will best suited as a visiting therapy horse with this tiny size and temperament. With the big "A" marking on his side, he is the perfect mascot for ALA.
to request information or to request a return phone call. You will be taken to a message page. Make sure to leave your name, number and the best time to reach you. We can no longer post our phone number or direct e-mail due to endless spam and telemarketers. .
Andretti kissing "Nash", a 130 lb, Anatolian Shepherd. 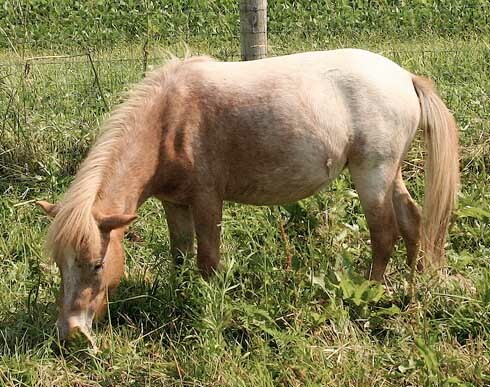 "Serenade" AMHA/AMHR (permanent status pending) is 29.0" light palomino mare with knock out bloodlines. Here sire and dam are drop dead gorgeous palominos of top show quality. 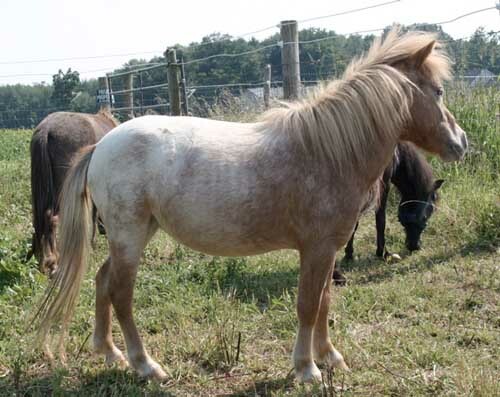 She is an easy keeper, healthy, and gets along with all horses, donkeys, dogs, cats, etc. She has the most beautiful eyes and loves attention. A little aloof with strangers, but enjoys one on one attention. I will be posting photos of her ancestors . 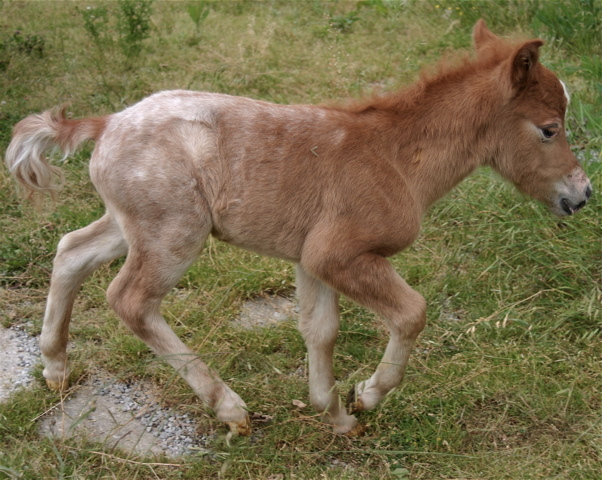 Dray, is a 29-29.5" Pure Falabella uniquely marked pintaloosa stallion, born 08/07/02. 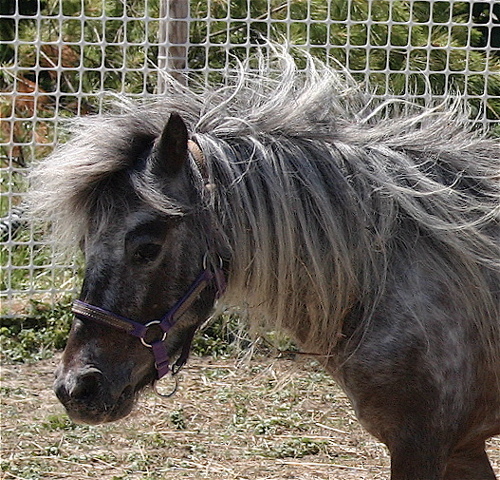 He has a, gorgeous mane, tail and forelock that are extra lush and long. He has one of kind squiggle like pattern on his neck, when show clipped and looks more appy each year. 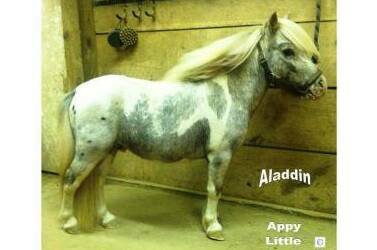 He has a strong appy ancestry. He is a little shy around new people but sweet and easy to handle. He is show quality and fantastic Fallabella bloodlines. You seldom see pure Falabellas with his smaller size, conformation and coloring. I am only considering selling him since I am not breeding now. He did have some training to prepare for show prior to my owning him. Very handsome boy. Photos do not do him justice or show his refinement. 33-33.5" AMHA/AMHR (pending permanent status) stallion. "Zeb" is one of the most uniquely marked appaloosas you will ever seen, full or miniature sized. He is a Grulla blanketed appy with primiature markings including a line back, lined ears and zebra bars on all four legs. He is show quality and his sire did well in showing. He has incredible bloodlines and conformation. He is all boy and not for a novice. I have not had the time to show him with our moving for work the last few years. He will be for sale until late spring or early summer and will not be offered again after that. One of a kind. He is not for novices. He is a spirited boy with the heart and look of a mustang. Being ground driven in a rope halter. Video clip and new photos coming soon.